Many of you get your mobile phone wet by one way or another. 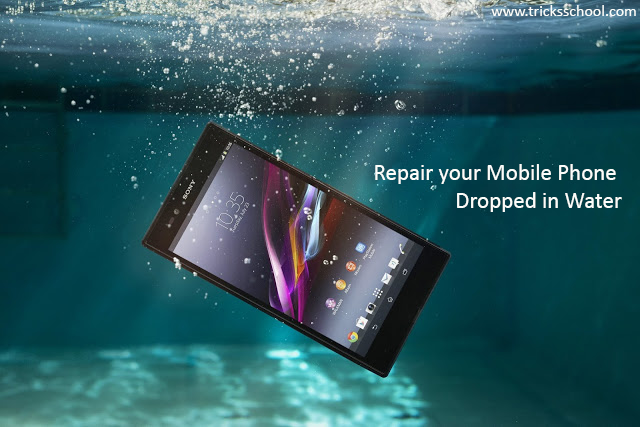 You worry as you mistakenly drop your mobile phone in water. It can also get wet if you are out in a heavy rain. However, there is no need to panic. 1.Act rapidly: The first thing you have to do in order to save your wet mobile phone is to act rapidly. Quickly remove all the detachable parts as well as covers possible such as the back cover, battery, the SIM card, memory card etc. Next, take a piece of cloth or a tissue paper to wipe the excess water you are able to notice within the mobile phone. Make sure that you dry it completely. If you don' t do this, the water inside the mobile phone will begin to evaporate and gather in places which will be difficult to reach. 2.Using a hairdryer: Take a hairdryer and begin drying the mobile phone while giving more consideration to the place where the battery is located. The battery housing usually consists of tiny holes to let in air (so giving more space for water) inside the mobile phone. 3.Drying for a long time: Take off the covers as well as battery from the mobile phone. Put the phone in a dry as well as warm place to let the water inside the phone evaporate gradually from the little holes in the mobile phone.